Eurostar, the high-speed rail service linking the UK and mainland Europe, will be treating Business Premier passengers to a new range of winter cocktails to enjoy whilst relaxing in the Paris lounge. Designed by the London Cocktail Club, the bespoke cocktails encapsulate Eurostar’s heritage, reminiscent of both British and French cultures. Featuring a range of French spirits such as pastis and Côtes de Provence rosé and typical British ingredients such as cucumber juice and fresh rosemary, the drinks are sure to suit tastes on either side of the Channel. For those looking for something a little lighter, Michelin star chef and Eurostar Business Premier Culinary Director, Raymond Blanc OBE, has designed two non-alcoholic cocktails. Named the Mellow Mojito and The Zester, the drinks are a virgin take on the Cuban classic and the spritz. 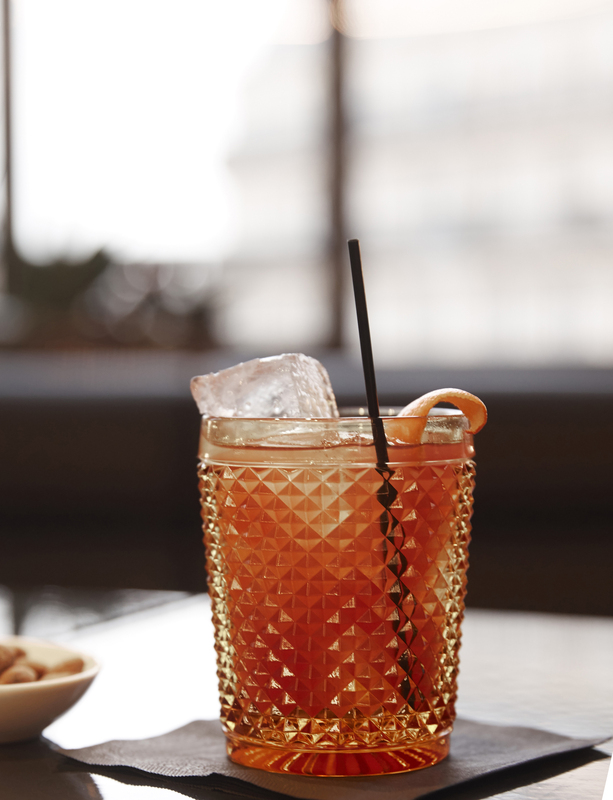 These drinks are a welcome addition to the menu, which currently features Eurostar’s signature cocktail, Angelique. The tipple contains Eurostar’s very own gin, Toujours 21, which was designed by Raymond Blanc and created by Silent Pool Distillers. It is a delightful fusion of French botanicals and honey from the Kent countryside. Designed by global architects, Softroom, the Paris lounge has transformed the travel experience for Business Premier passengers. Situated on the top floor of the original 19th century building, and featuring high ceilings, marble fireplaces, a cocktail bar and intimate snug spaces, the lounge captures the spirit of a Parisian apartment. With business passengers increasingly choosing high-speed rail over plane, valuing the seamless journey and ability to work pre-travel and on board, the new lounge offers a stylish, comfortable environment for both working and relaxing. Eurostar’s Business Premier offers the highest standards in cross-channel train travel. With fully flexible fares, Business Premier customers can enjoy a 10 minute express check-in, exclusive access to the business lounges, plus complementary drinks and fine dining all served in the comfort of their own seat. Eurostar is proud to be the first transport provider to receive Sustainable Restaurant Association (SRA) accreditation as a Two-Star Sustainability Champion for its commitment to sourcing local and sustainably produced ingredients and for pursuing a socially and environmentally responsible approach.